ART, in cooperation with its US & Japanese teaming partners, is proposing decontamination of Cesium impacted soils at Fukushima by means of soil washing. ART Engineering LLC (ART) is a remediation company specialized in ex-situ soil treatment using Soil Washing, Bioremediation and Thermal Desorption Treatment Systems. ART principals have 25+ years of full scale project implementations and backgrounds in Mining, Mineral Processing and Contaminated Soil Remediation. The proven cost effectiveness of Soil Washing is in volume reduction of contaminated soils, re-classification of contaminated soils from hazardous to non-hazardous and in some cases 100% onsite reuse and/or recycle. 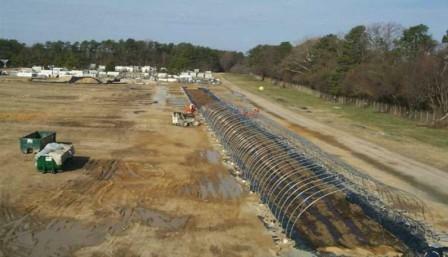 Bioremediation and Thermal Treatment can allow for 100% of onsite reuse. ART provides specific project treatability studies and evaluations to determine which of these remediation remedies, or combination or remedies, is best suited for the project. ART always looks for the most cost effective solution among these technologies that meets our clients' goals.